You just know the songs in this collection are going to be great - the name says it all. 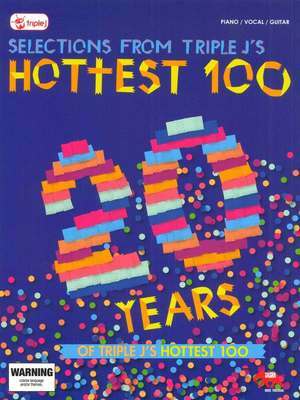 Iconic Radio station Triple J asked listeners to vote for their best-loved tracks of the past 20 years and this collection contains 16 of those chosen arranged for Piano, Vocal and Guitar. A best-seller.